Isn't it About Time to Spring Clean Your Personal Finances? HomeBlog BudgetingIsn’t it About Time to Spring Clean Your Personal Finances? Isn’t it About Time to Spring Clean Your Personal Finances? Spring has arrived and you’ve probably already cleaned out your closets, dusted under the bed, washed your windows and started thinking about your summer garden. When you complete one of those spring cleaning tasks it can leave you feeling very invigorated and ready for summer. Or depending on your point of view you may see spring cleaning as just another nasty task that needs to be done. Regardless of how you feel about spring cleaning your home there something else that needs to be spring cleaned and that’s your personal finances. Why is it important to do an annual financial cleanup? It’s because this will help you stay on track. There are a huge number of things that can happen in a year. Life changes very rapidly these days. If you take the time to sit down and spring clean your finances this can help keep you motivated when you see all the positive things that have happened in the past year. To spring clean your personal finances you will need to collect your documents, freshly filed taxes and necessary passwords. Then set aside a day to work your way through the following checklist for your financial spring cleaning. What this amounts to is learning how much you owe. If you find you owe money on multiple accounts and haven’t been able to get ahead this can be a major roadblock to your financial well-being. Step one is to determine how much you owe on each of your accounts. Next, call your creditors to determine if you could set up a payment plan with a lower interest rate. 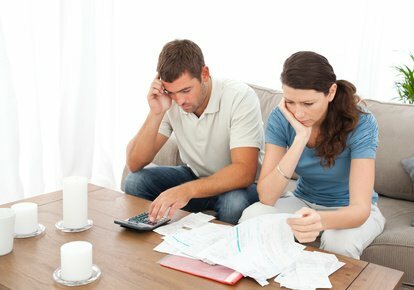 Do you have high interest debt spread across many different accounts? In this case it might make sense to consolidate them. We know of one person who consolidated their student loan debts through CommonBond and saved more than $14,500 in interest over the life of their loans. And if most of your debts are student loan debts be sure to check into Sofi.com as it specializes in consolidating student loan debts at lower interest rates. This would also be a good time to check your credit reports and your credit score. The law entitles you to one free credit report a year from the three credit reporting bureaus. Alternately, you could get them all at once at www.annualcreditreport.com. You can get your credit score from one of the credit reporting bureaus (TransUnion, Equifax and Experian) though it might be easier to get it through a website such as CreditKarma.com or CreditSesame.com. While your income may not have increased this year the odds are that some life events such as marriage, having a baby or buying a house will mean making adjustments in your budget. There are numerous free budgeting apps available such as Buxfer, Mint and Personal Capital that will keep track of your spending for you. Be sure to review bills such as cable, groceries, gas, electricity, subscriptions and so forth – and try to find ways to reduce them. If you’re not using that gym membership be sure to cancel it. Ditto those “free trial” offers that are now showing up on your credit card accounts as charges. Get out your home, life, auto and health insurance policies as well as any other insurance policies you might have. Then review the deductibles, your premiums and beneficiaries to make sure everything still meets all of your needs. In the case of health insurance, you might be able to save money by going to a higher deductible, which would result in a lower premium. Don’t forget to let your insurance agent know if you’ve made any changes to your home such as building on an addition or adding a security system as this could lower your premium. There’s an excellent website, PolicyGenius, that will help you determine what coverages you need and will even provide comparisons of the rates of various companies and policies. We hope you do have a will as this is the only way to make sure your money and other assets get divvied up the way you want them divvied up. If you already have a will you need to review it to make sure that everything is still the way you want it and that the beneficiaries and guardians named in your will are still correct. And while nobody wants to think about a really serious illness it can happen and this is why it’s important to have an advanced directive so your caregivers will know what treatments you want and those you don’t. If you’re like most of us, you have a bunch of financial documents squirreled away in a drawer or your file cabinet. This probably includes old bank statements, bills you have paid and tax documents older than seven years. Gather up all of those unnecessary documents and then shred and dispose of them. If your bank is like ours it will let you access your new and old documents online. This totally eliminates the need to keep hardcopies. You should also be able to do most of your bill paying and other financial transactions digitally so be sure to opt for paperless statements. And don’t forget to automate your payments so that you’ll never be charged another late fee. We know that having to spend a day sorting through old financial documents, reviewing your insurance policies and reevaluating your spending isn’t half as much fun as a day at the beach or playing 18 holes on your favorite golf course but it is really important. When you take the time to spring clean your personal finances what you’ll get in return is not only a picture of how you stand financially but also a peace of mind that should last you throughout the rest of the year.